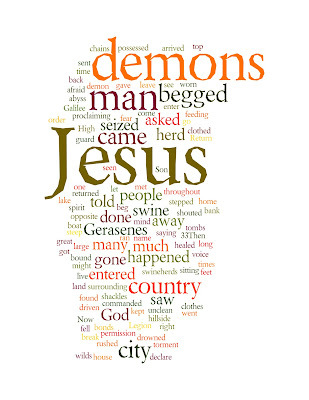 Here is Sunday's Gospel reading from Luke 8:26-39, as a Wordle. 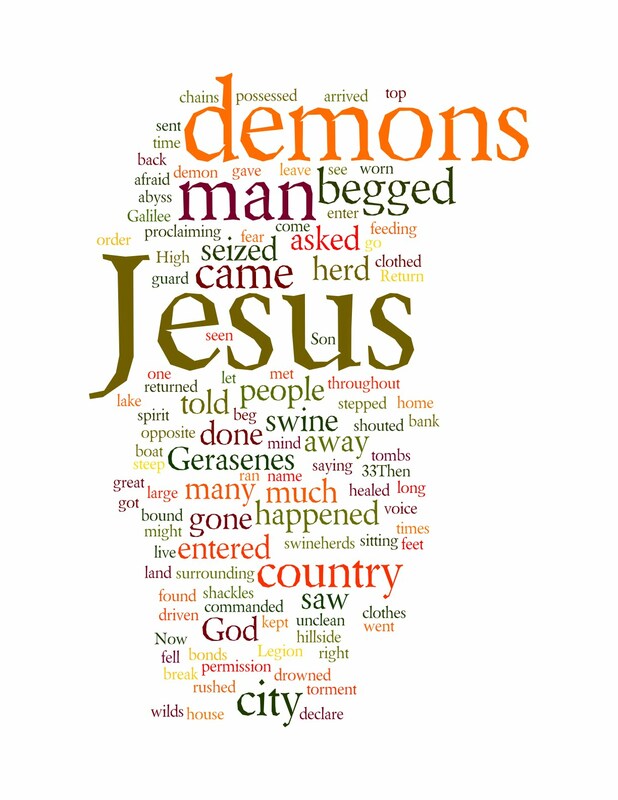 I am really struck by how the key words in the passage are 'Jesus' and 'demons' and how having these two highlighted identifies the spiritual war between God in Jesus and the powers of darkness that lies at the heart of this reading. The starkest of dichotomies.